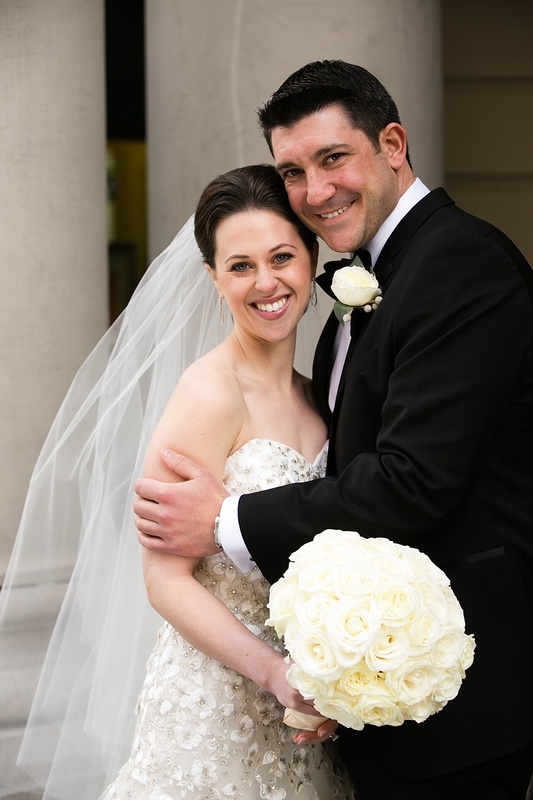 “Alex and I first met in jail in August 2012. 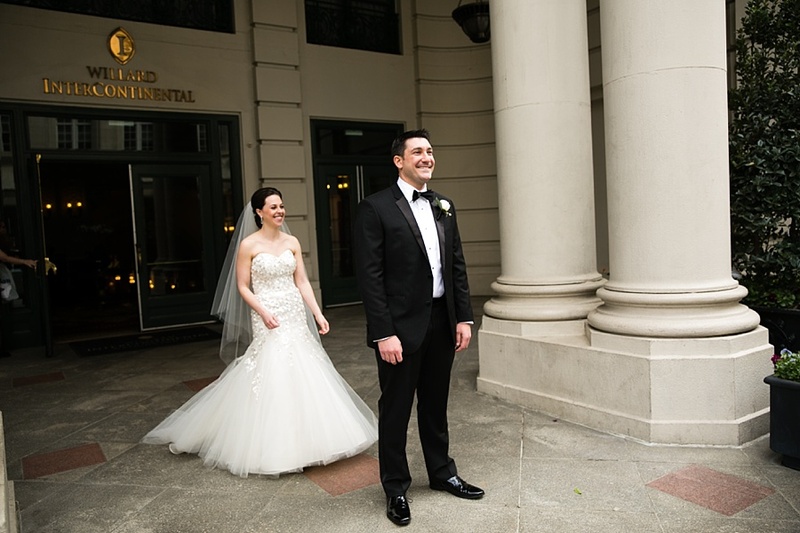 We had both signed up for a public interest pre-orientation program at GW Law School, which included touring Arlington County Detention Facility in Virginia. 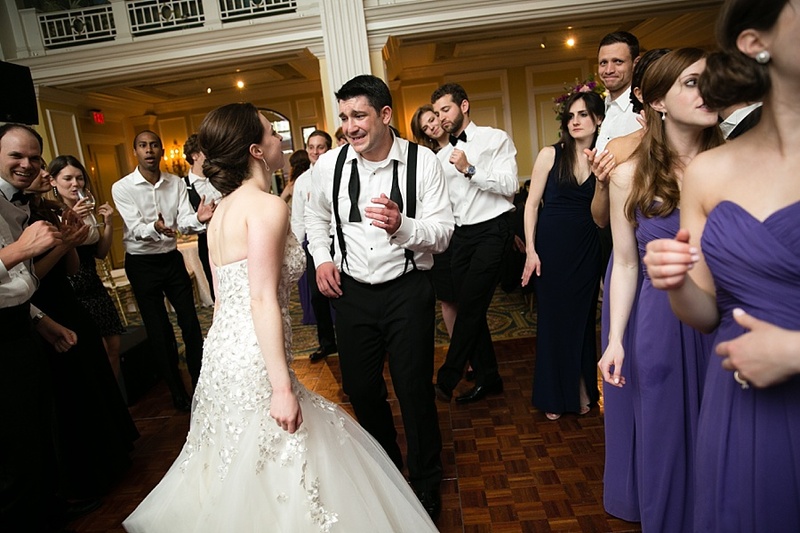 We discovered that were in the same law school section and had all of our classes together. 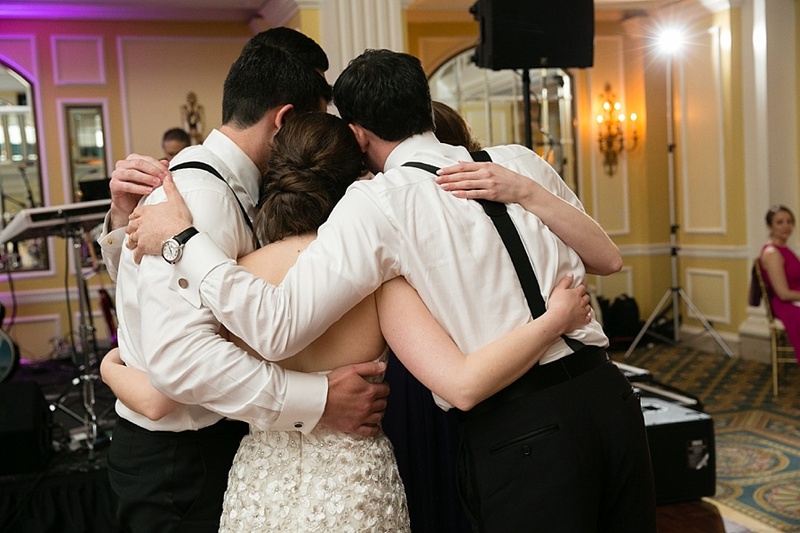 We very quickly began to spend most of our time together, and our deep friendship soon developed into more. 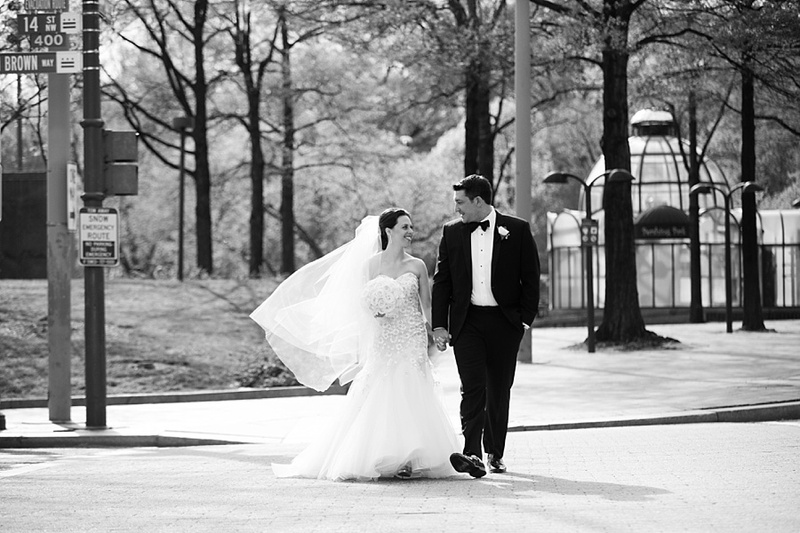 Alex proposed in December 2015 at The National Zoo in Washington, DC. 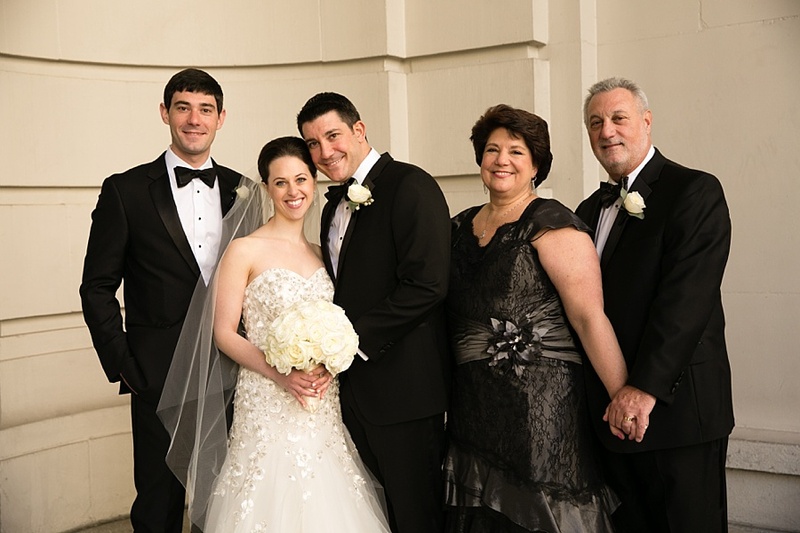 We then went to dinner at the restaurant where we had our first date, and Alex surprised me by having both of our families there! 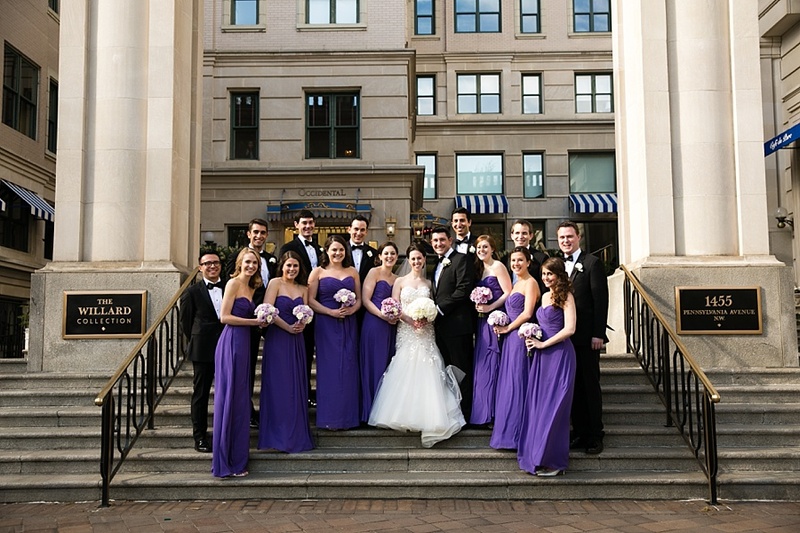 Having met and fallen in love in DC, Alex and I knew that we wanted to have a Washington wedding. 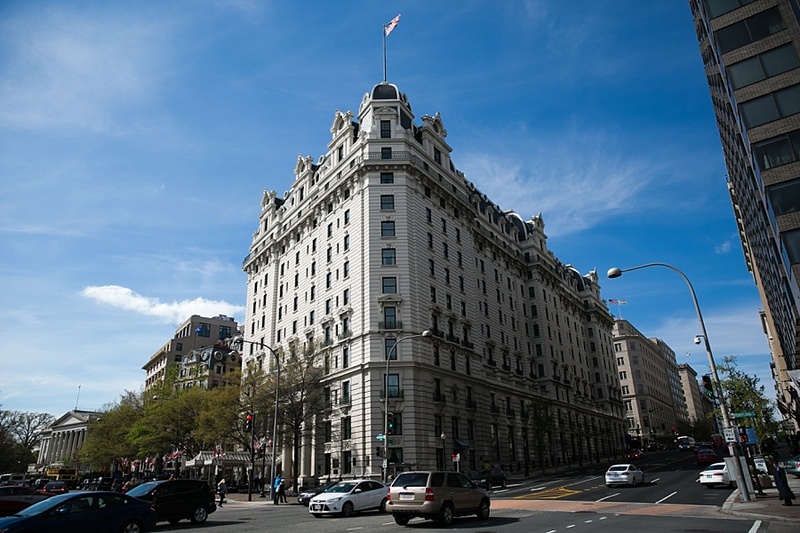 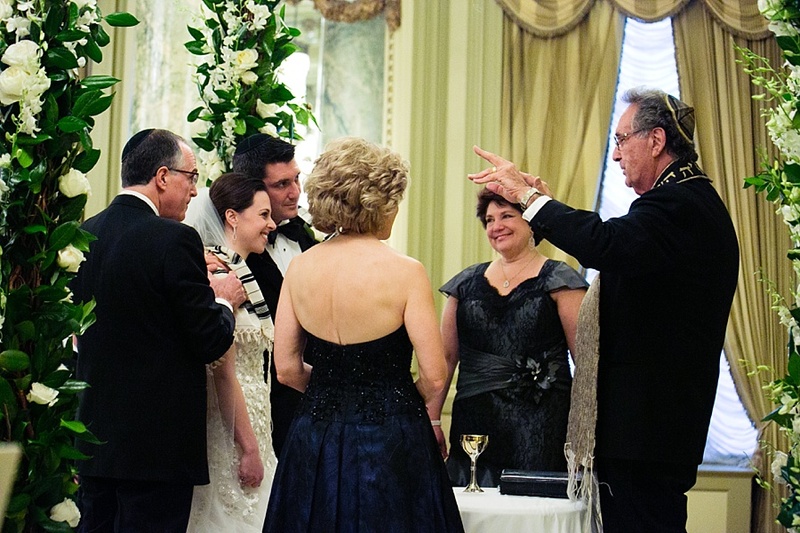 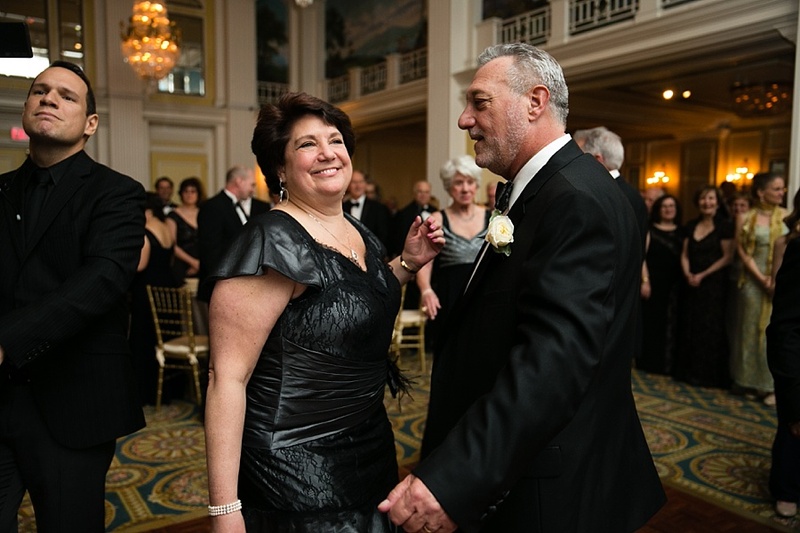 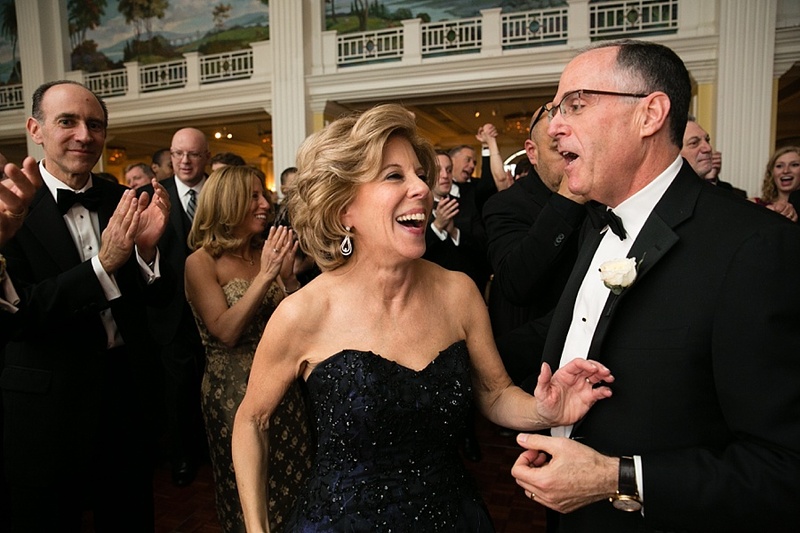 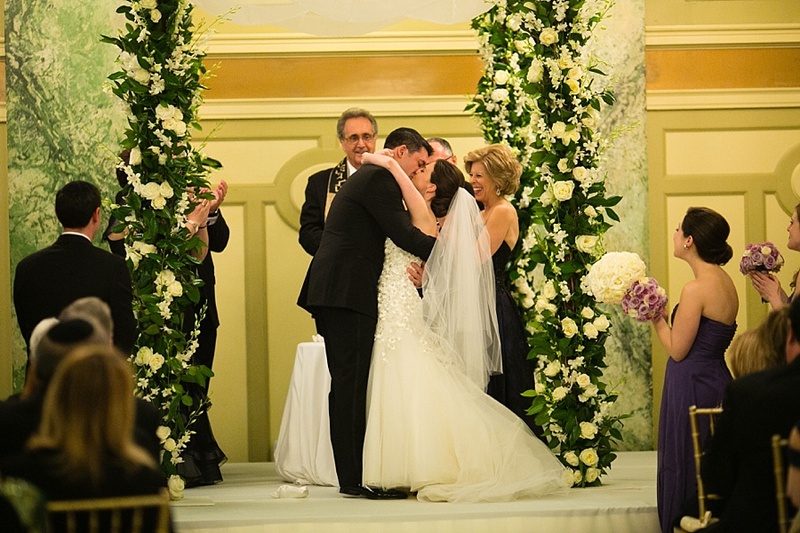 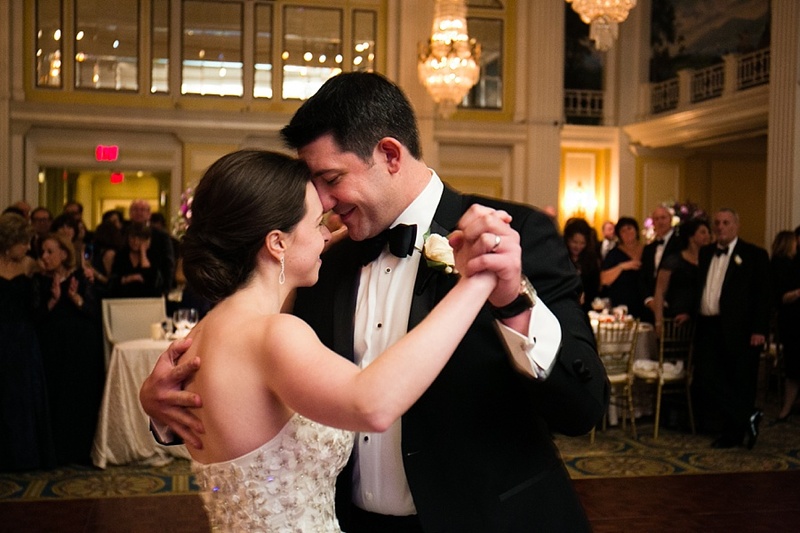 After visiting The Willard Hotel it was clear that it was the perfect locale- it was elegant, with two gorgeous rooms for the ceremony and reception, and had a long history, which made it feel very “DC”. 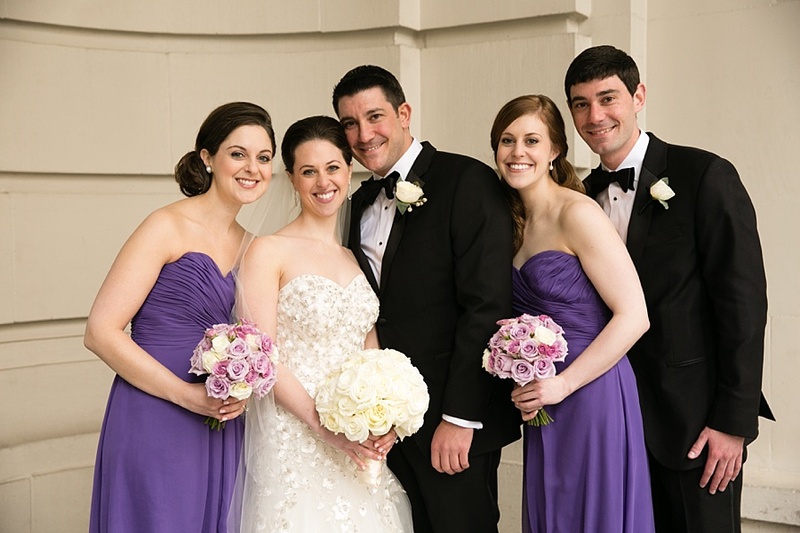 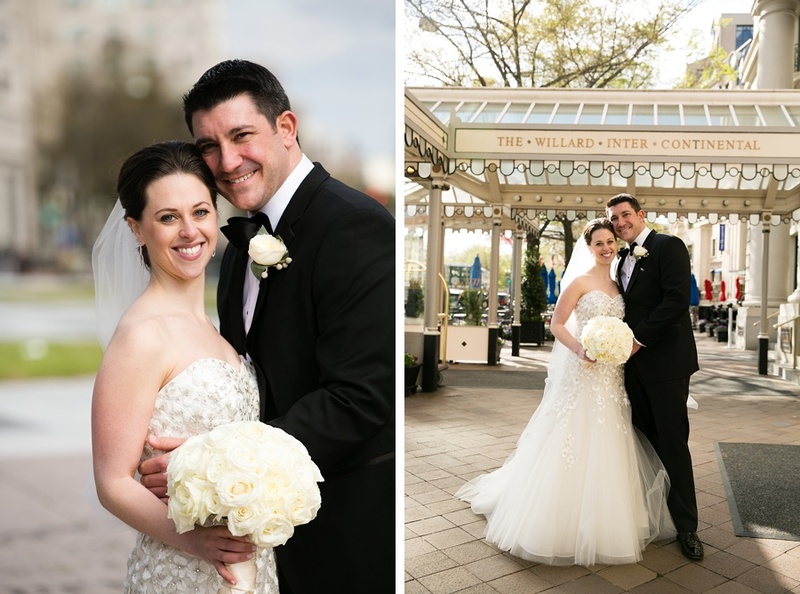 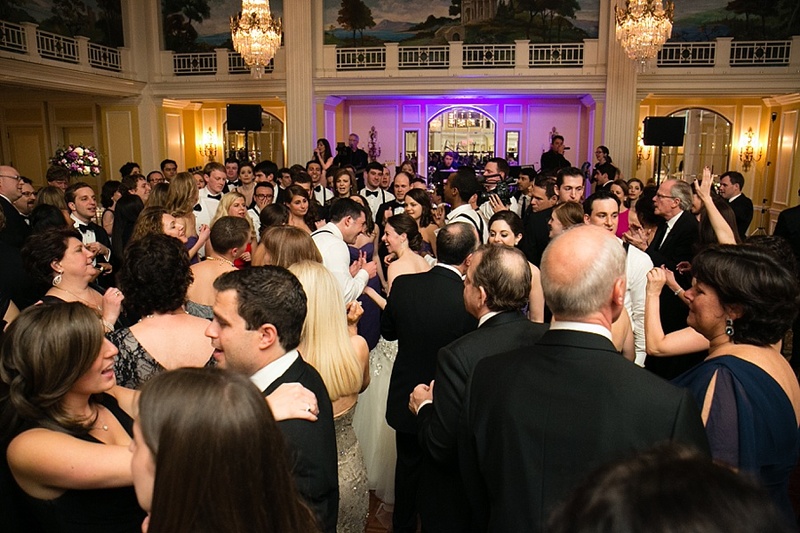 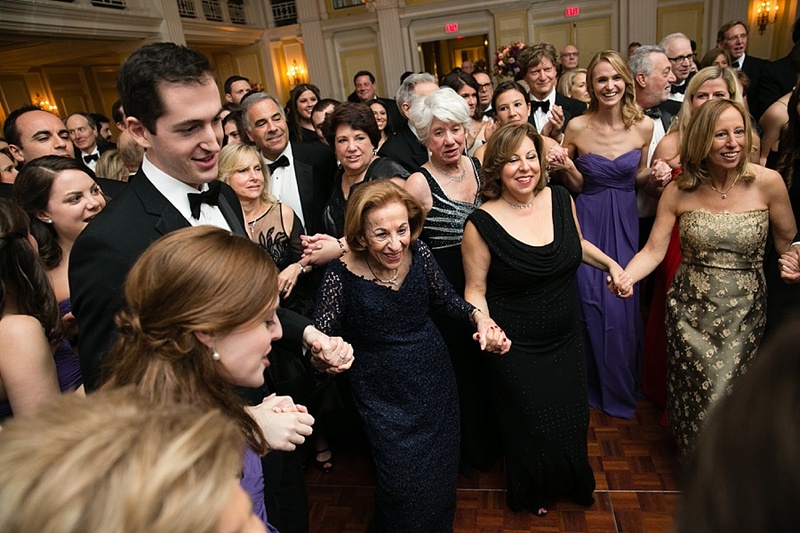 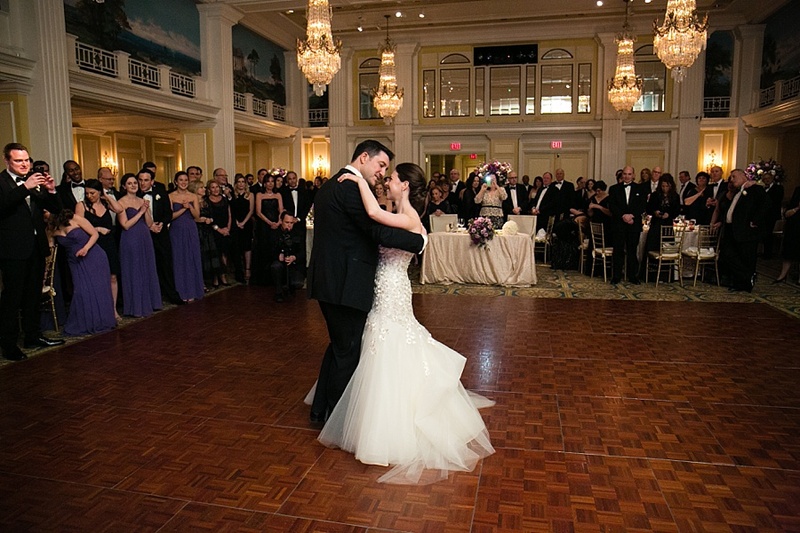 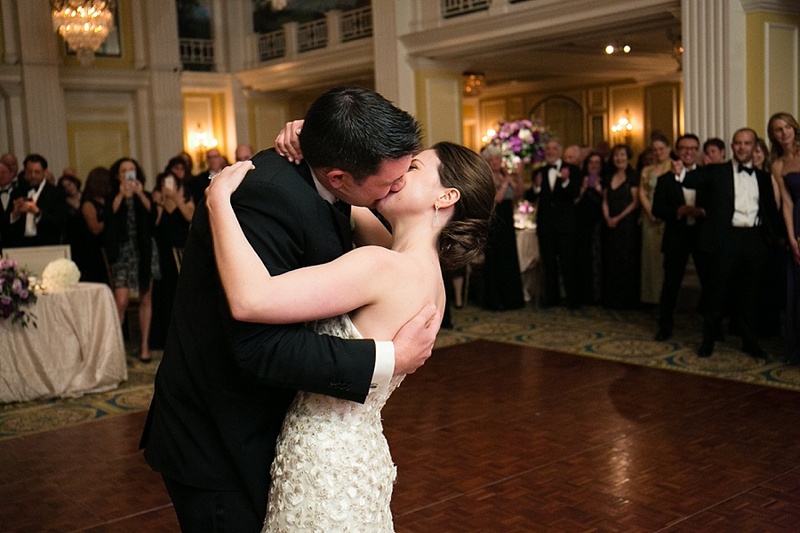 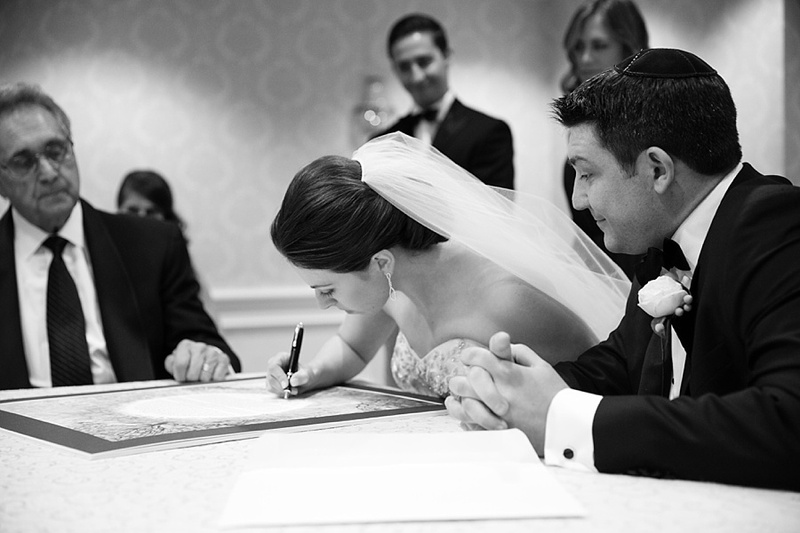 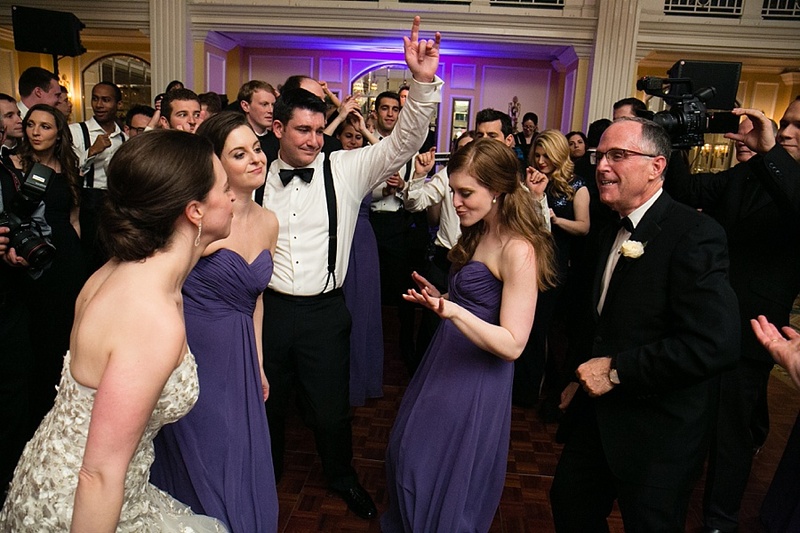 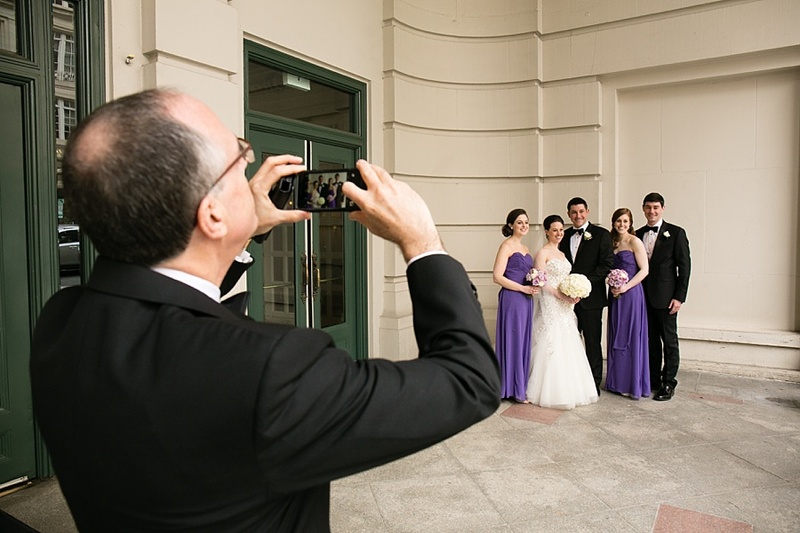 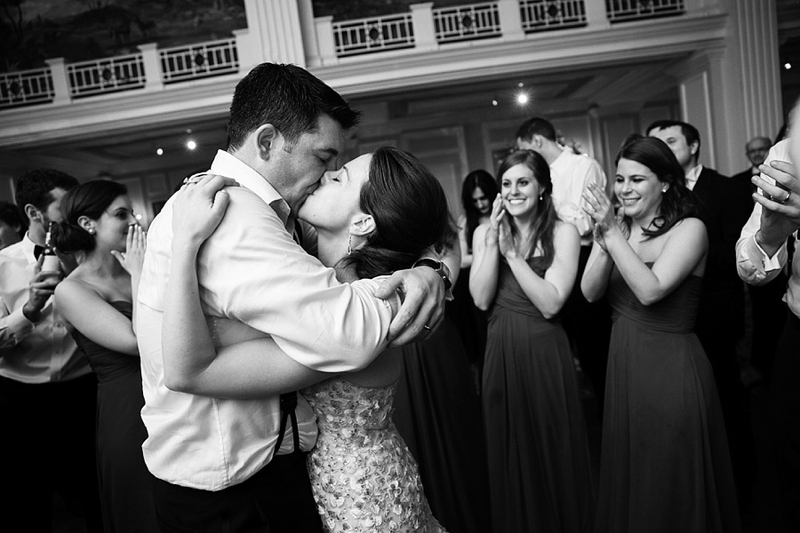 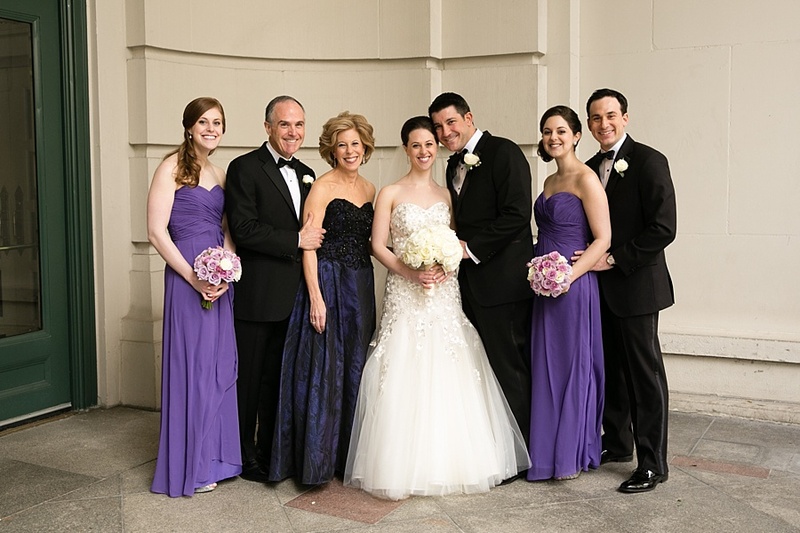 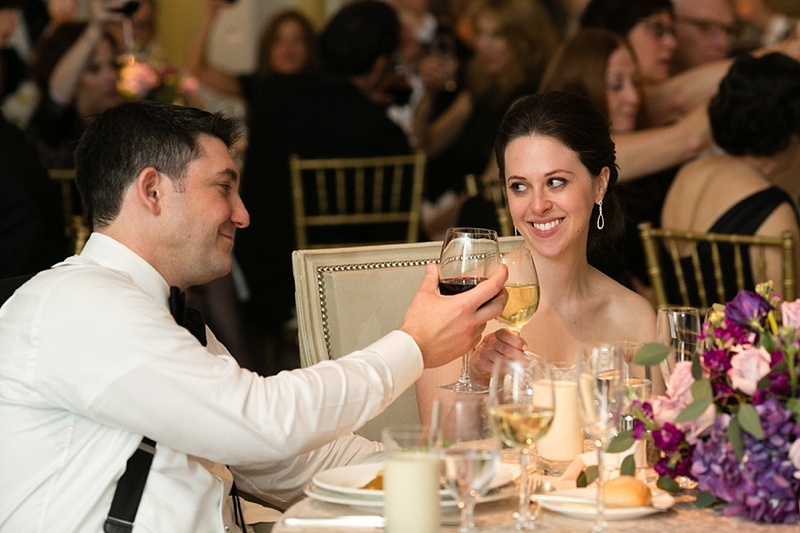 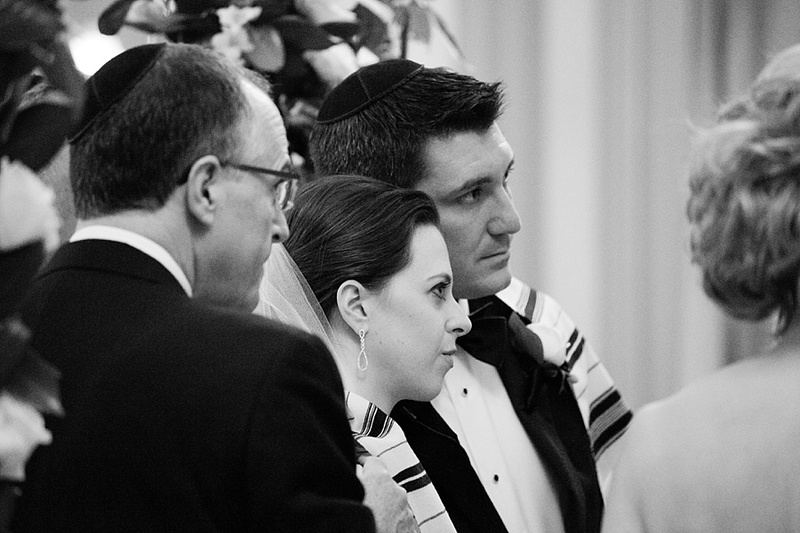 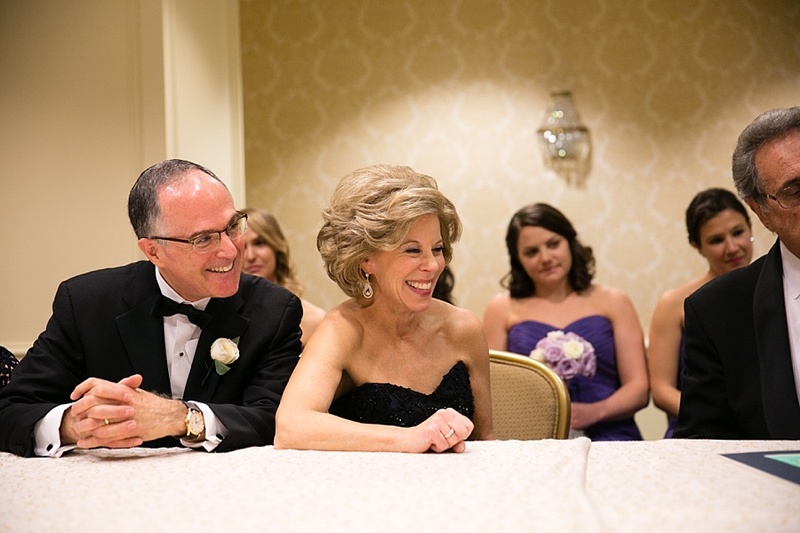 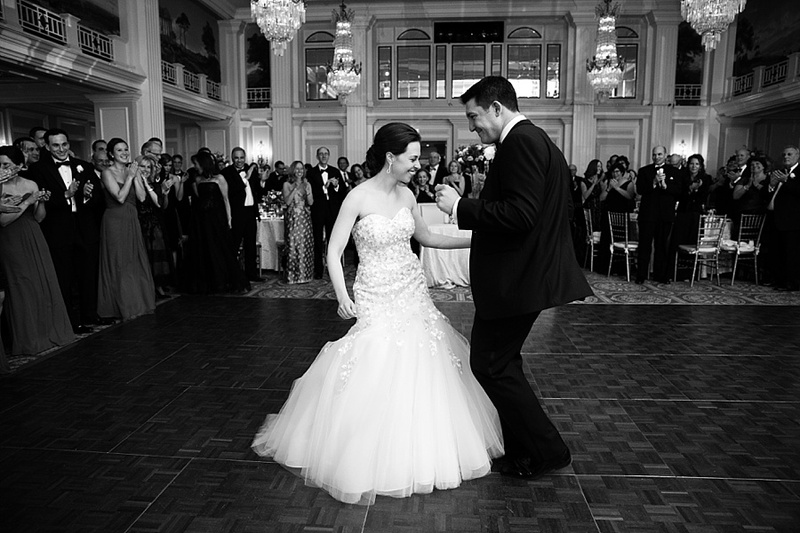 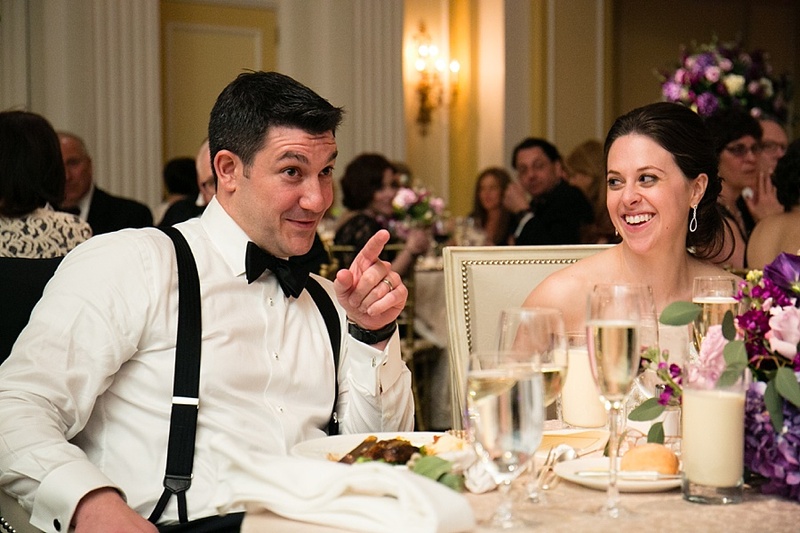 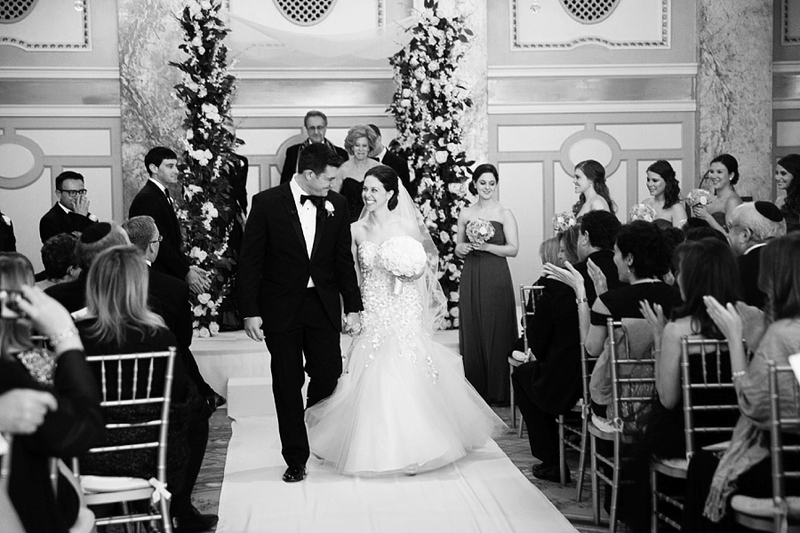 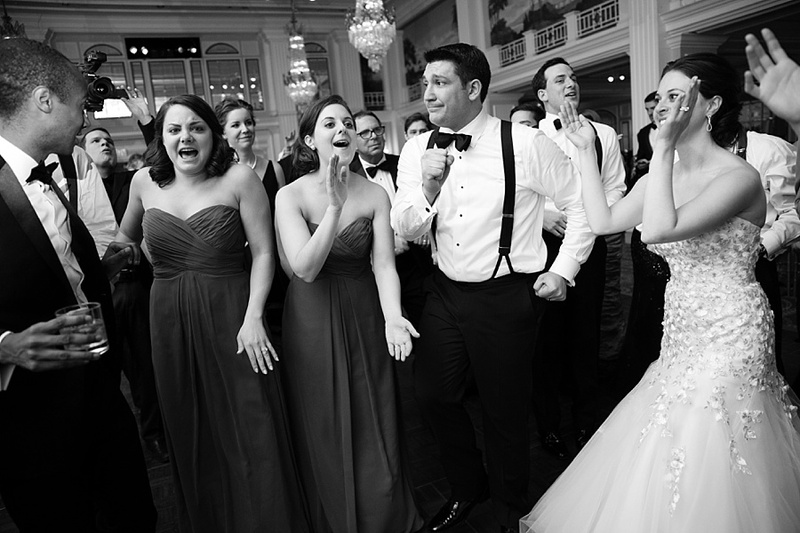 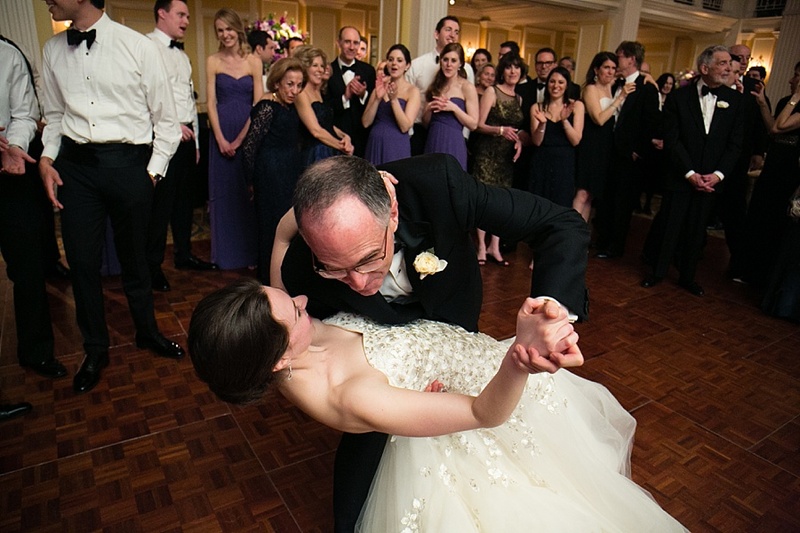 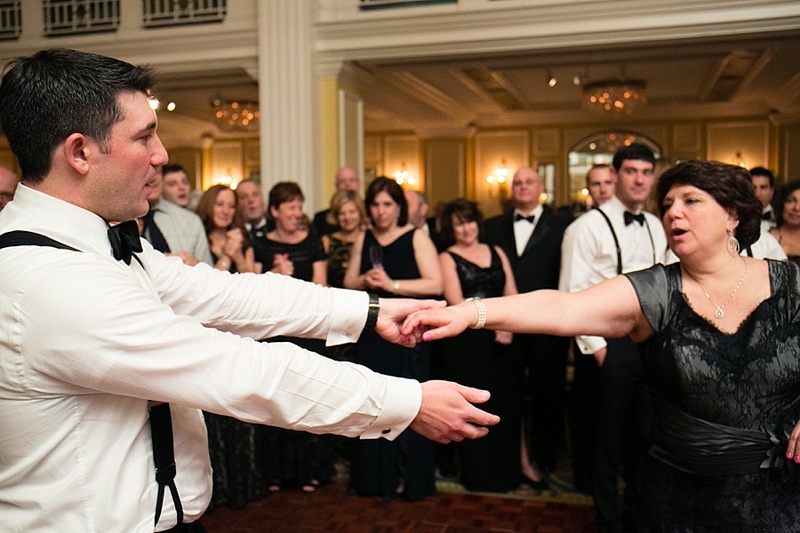 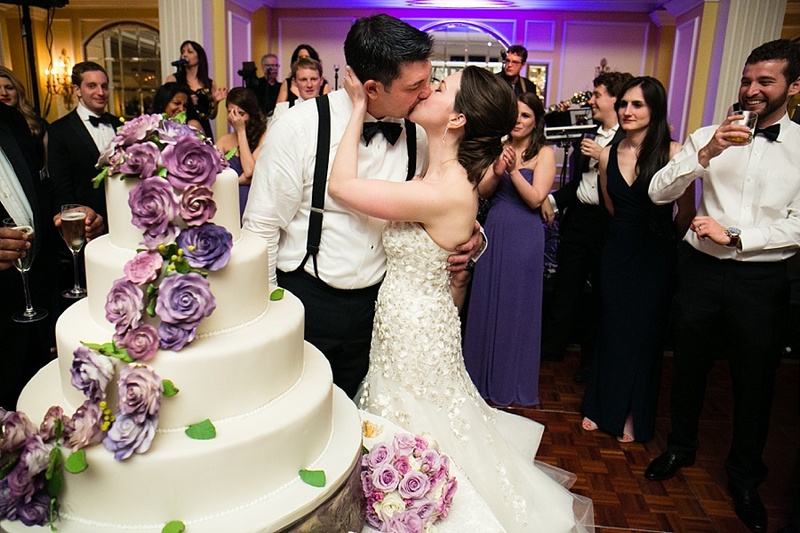 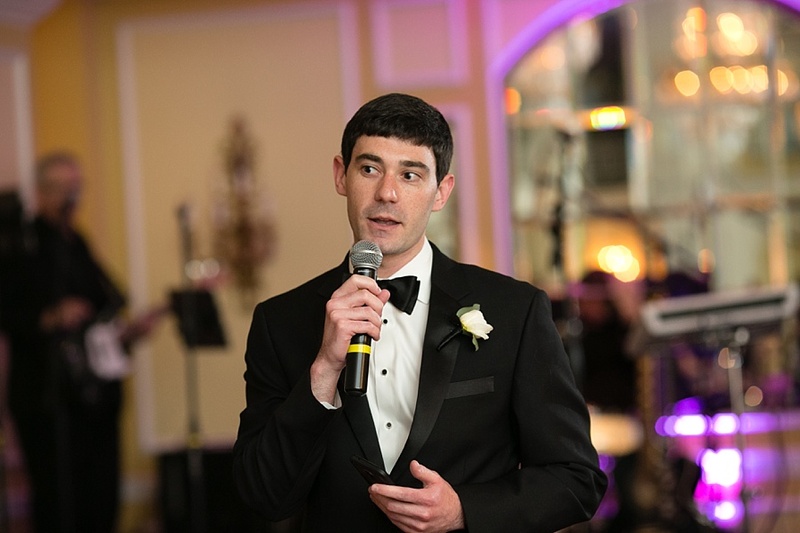 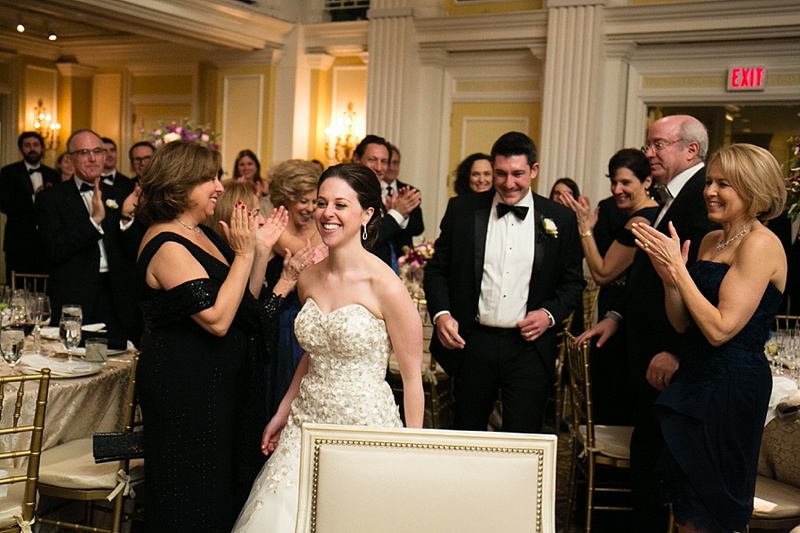 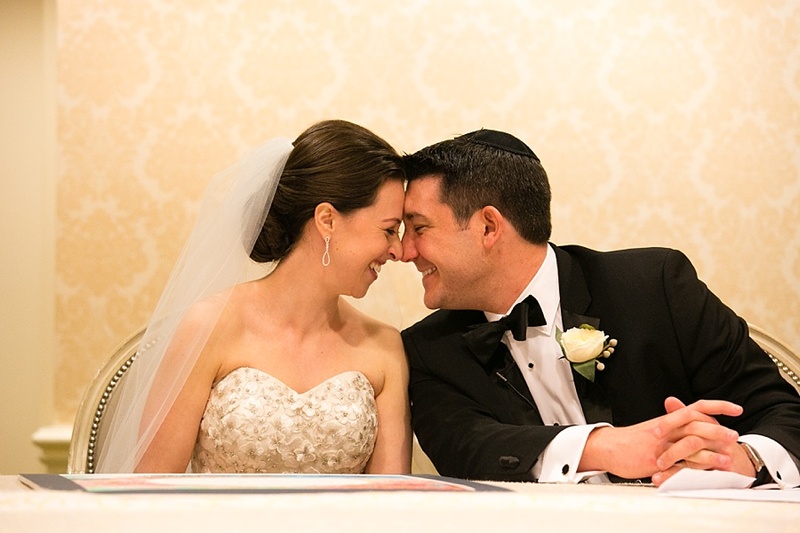 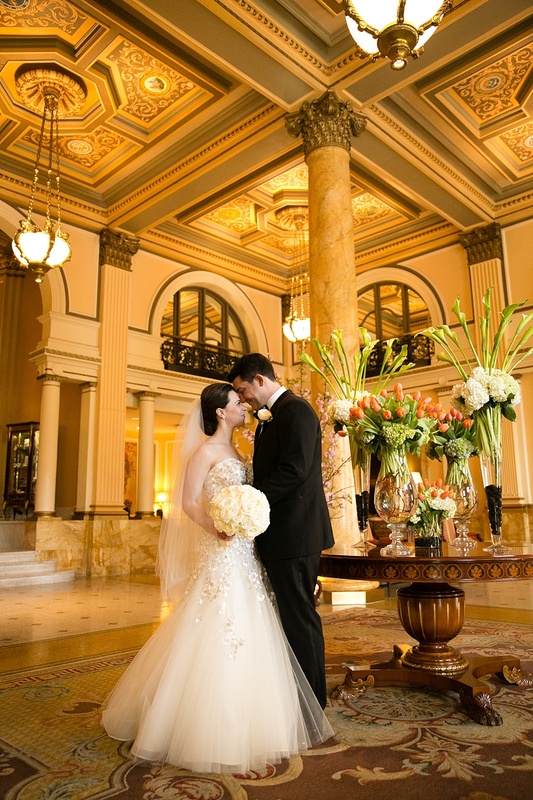 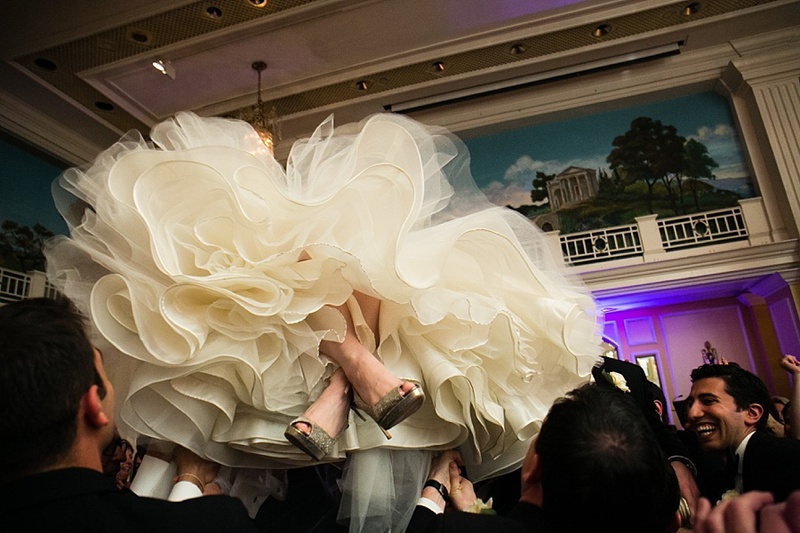 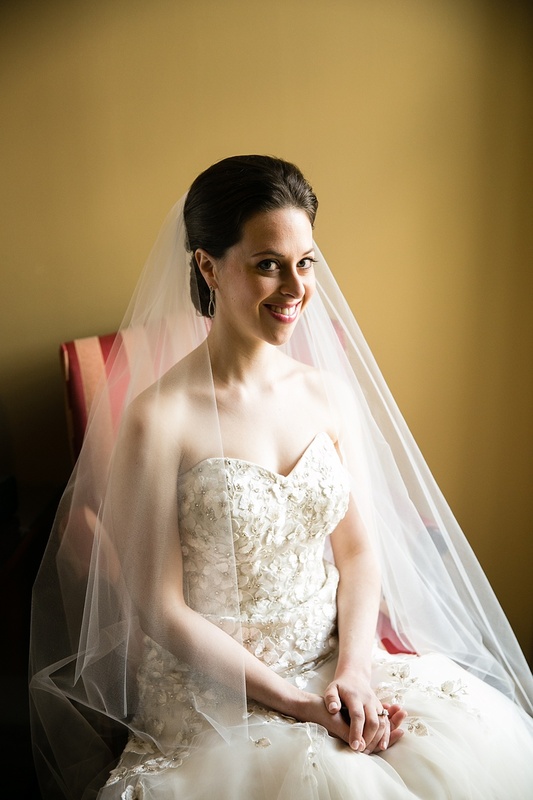 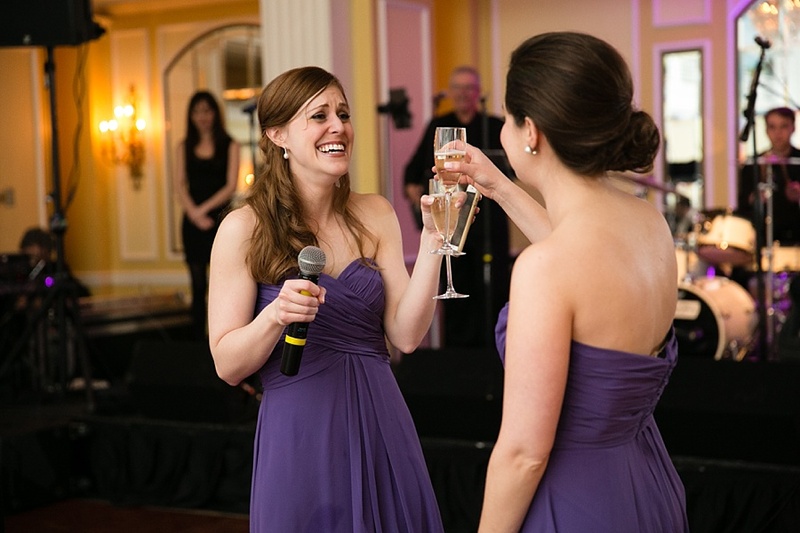 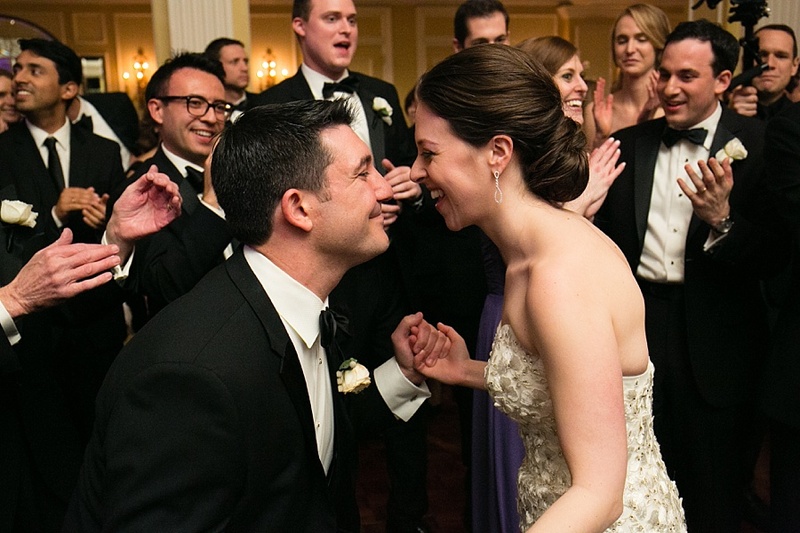 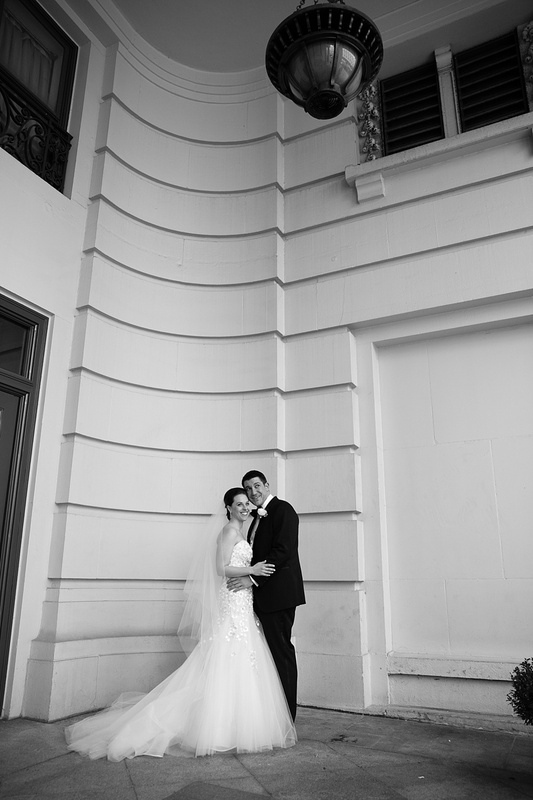 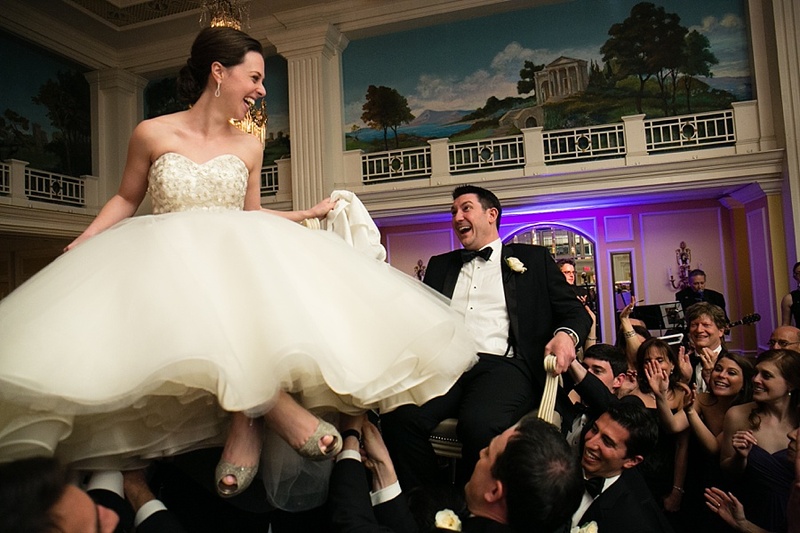 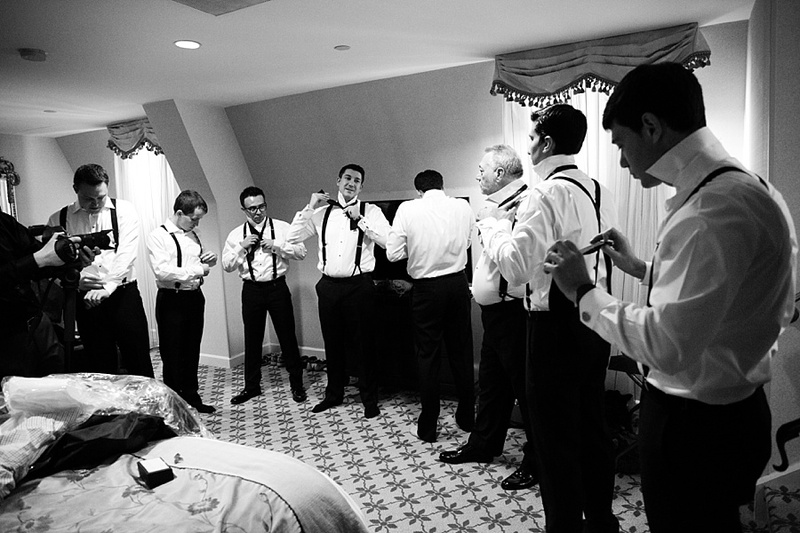 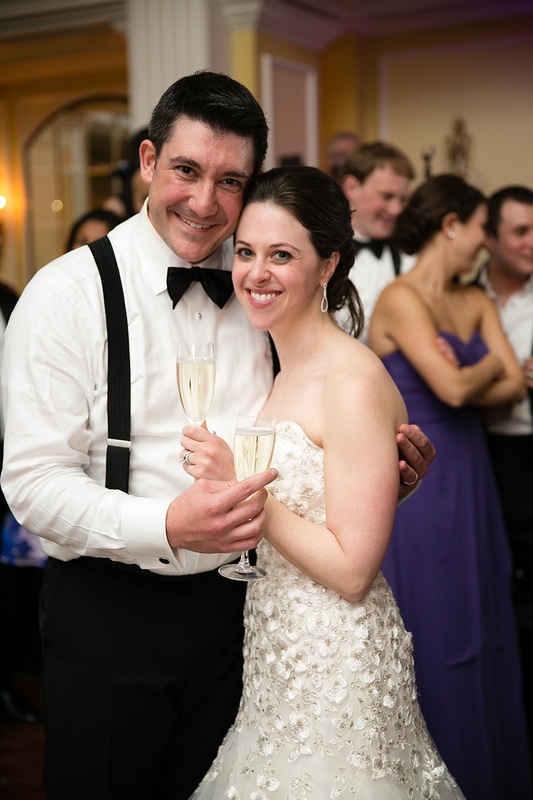 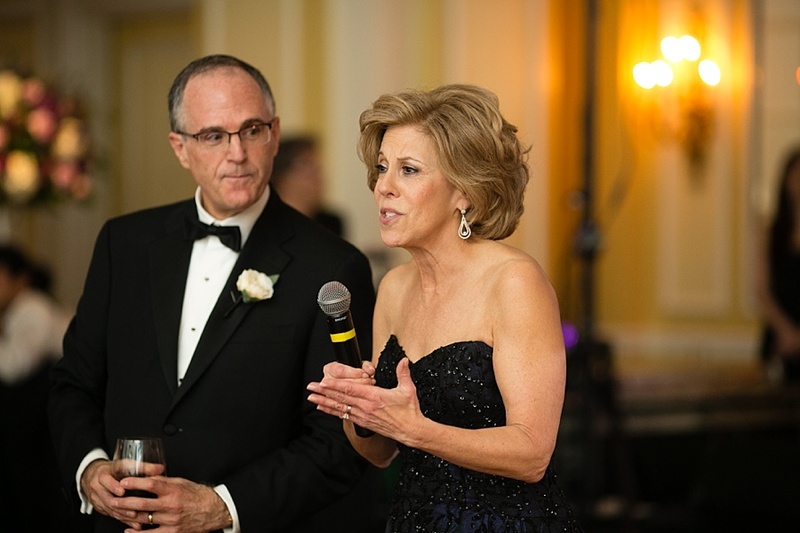 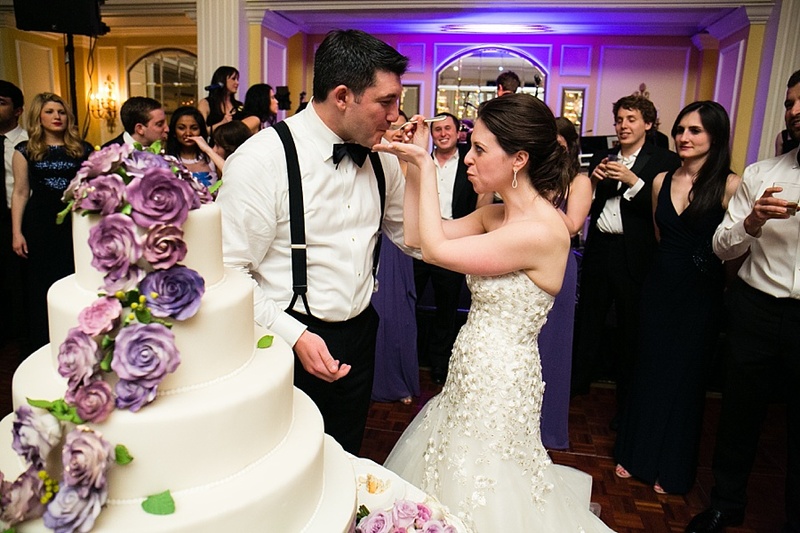 The Willard is just down the street from the U.S. Capitol and around the corner from The White House, and we loved that our guests would truly feel that they were in Washington upon arriving at our wedding. 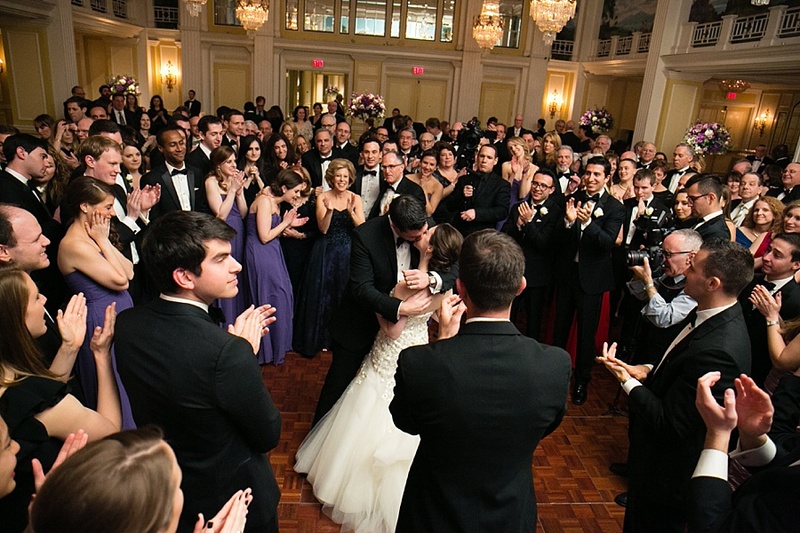 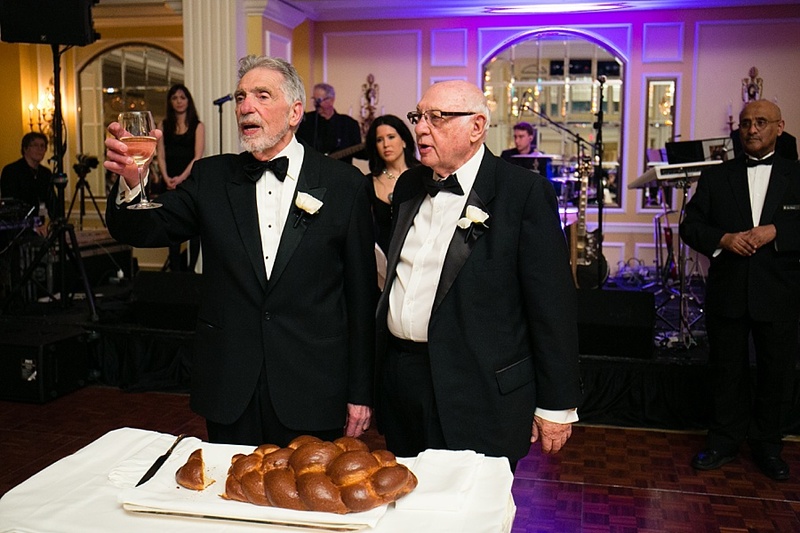 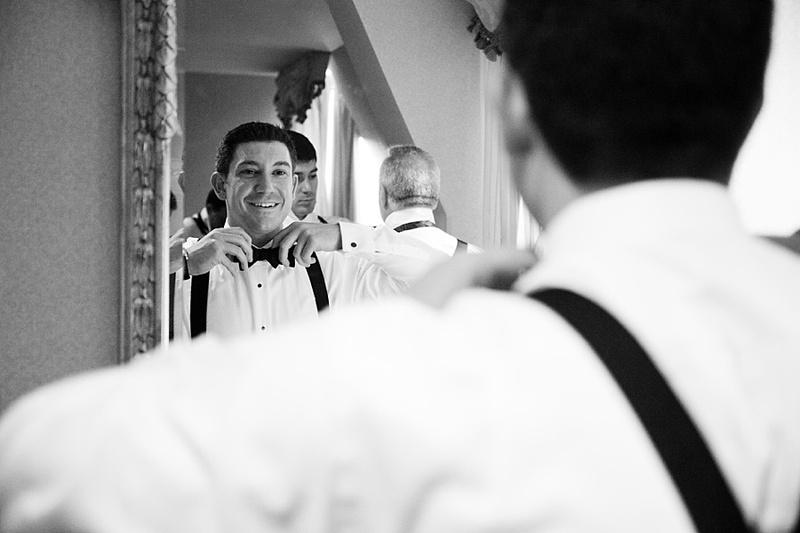 Alex and I wanted a romantic, classy, and warm wedding, and April 9th was as magical of a day as we had hoped for. 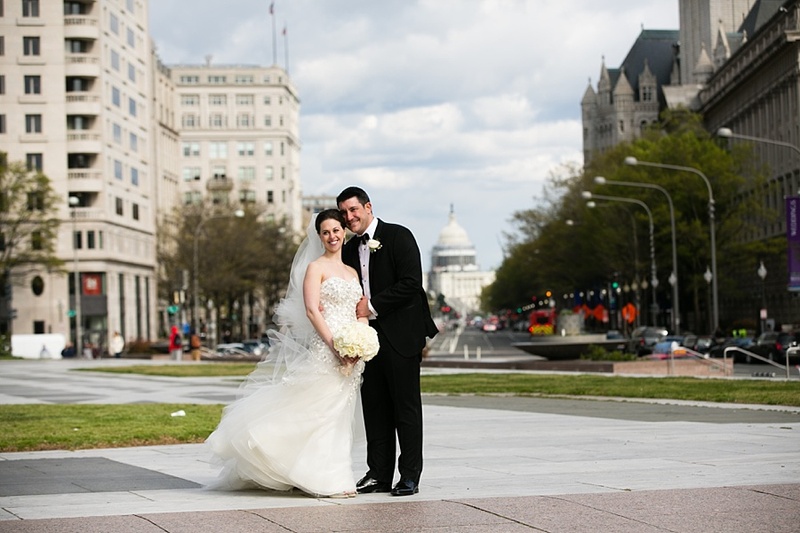 Our spring wedding started off with a very unexpected light snow shower but turned into a gorgeous sunny day in time for Bruce to capture us in front of the Capitol. 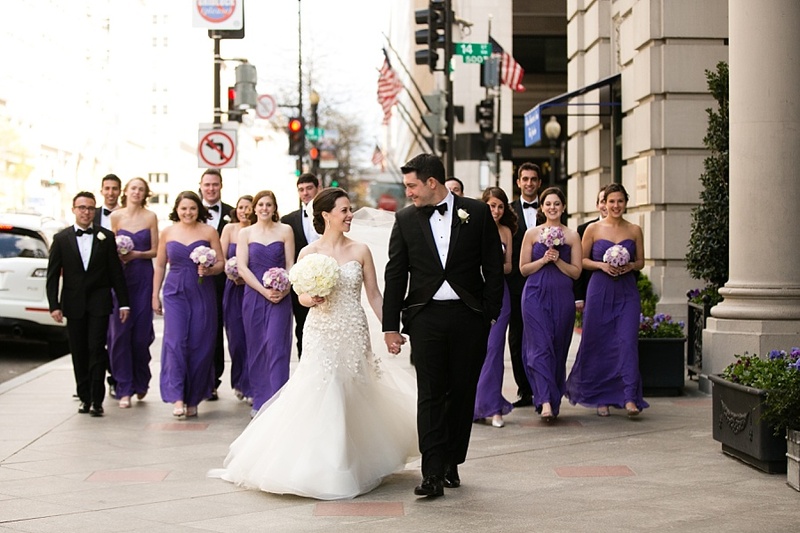 We will forever remember posing for photos on Freedom Plaza with the wind blowing out my wedding gown and not feeling the chill at all. 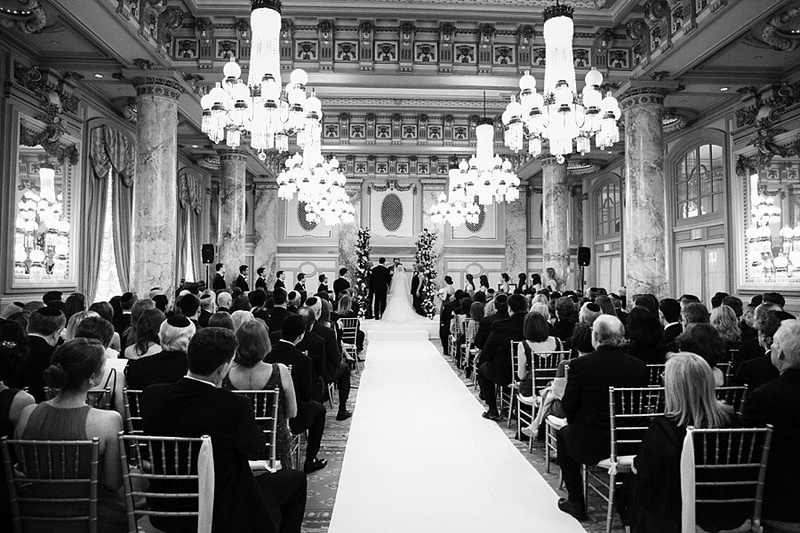 Every detail was exactly as we had envisioned. 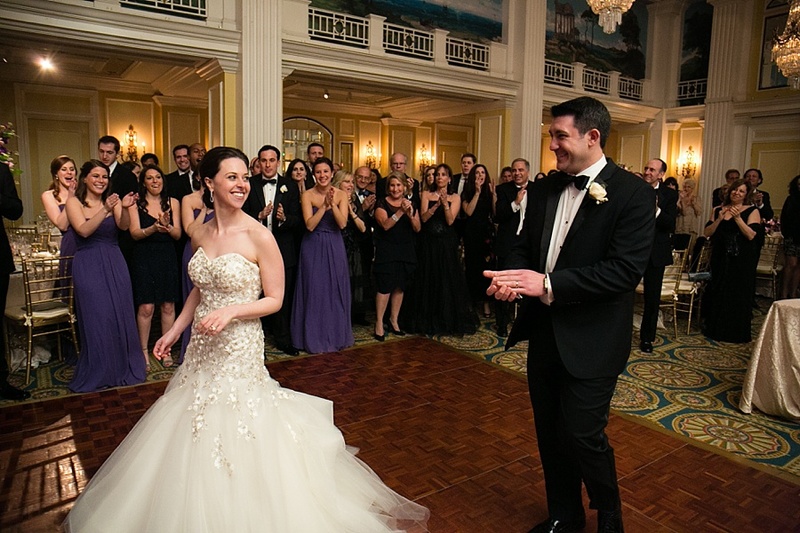 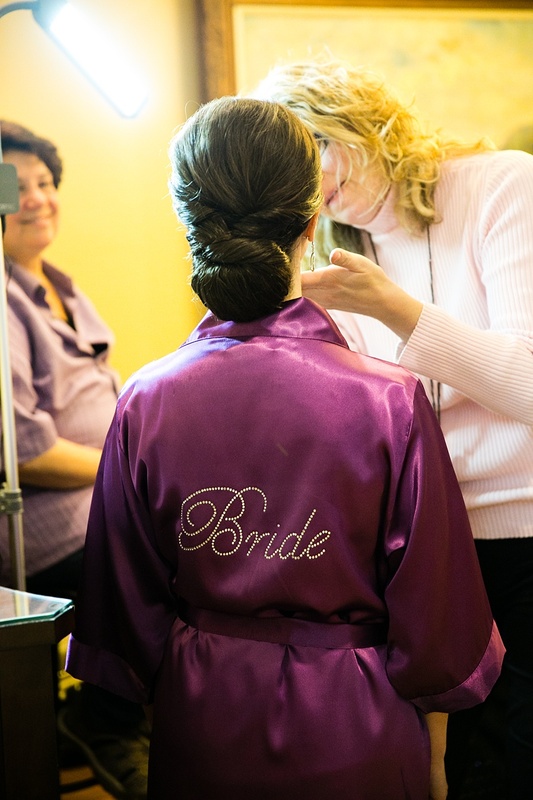 The Willard, especially our wedding coordinator Kalynne, made sure that the day ran so smoothly-the attention to detail was truly incredible. 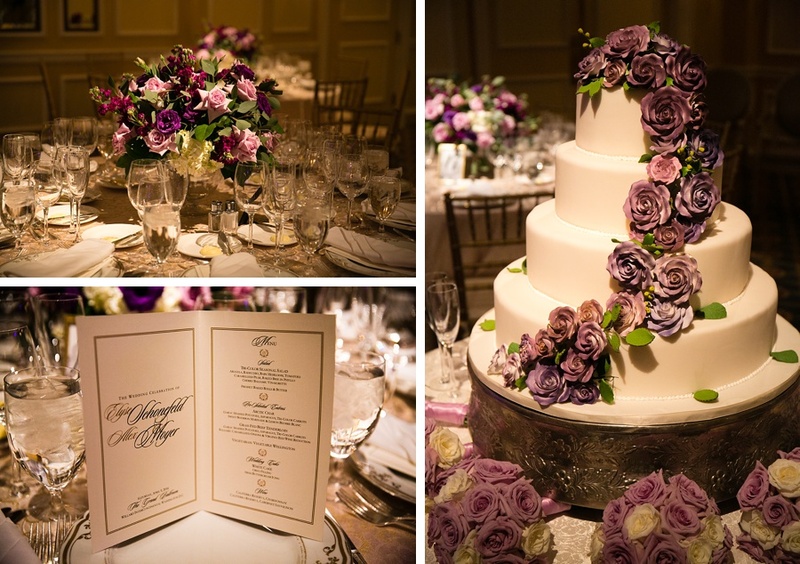 Edge Floral Event Designers did a beautiful job with the floral arrangements-roses and hydrangeas in different shades of purple and cream. 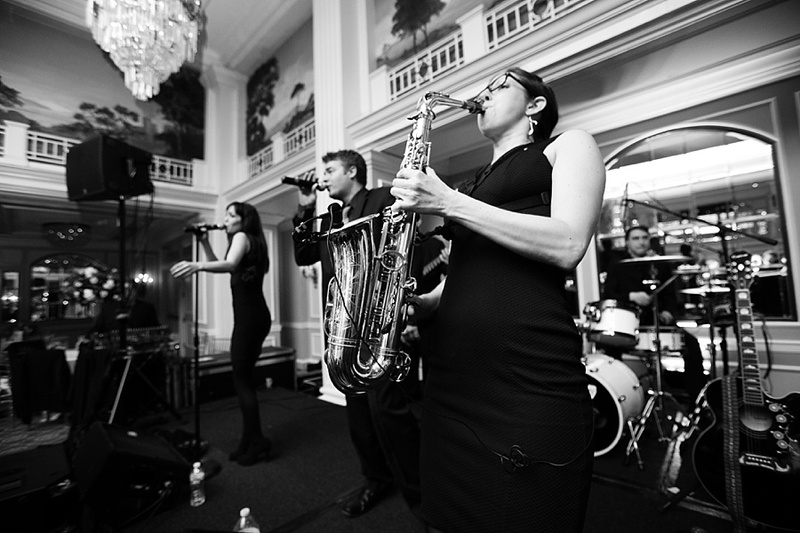 Kim Pozzi and her band, Creations Music, set the tone for the liveliest, happiest and most fun night. 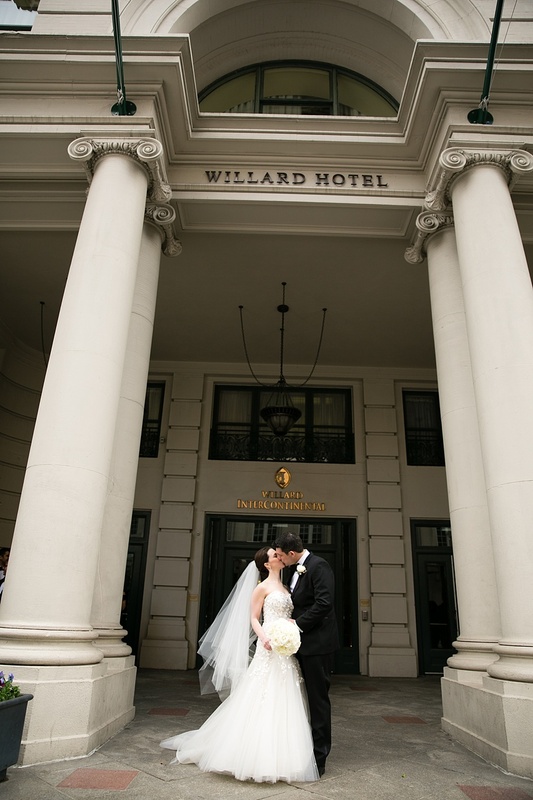 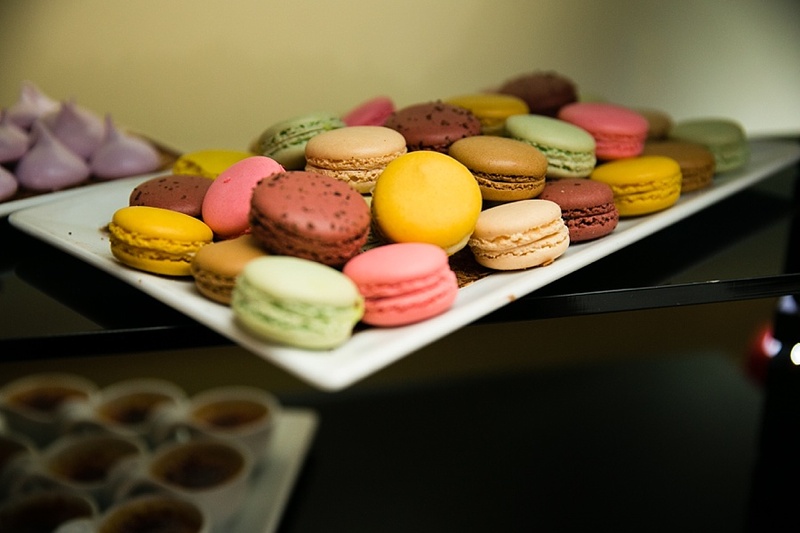 The Willard’s reputation for incredible food was another top reason we chose the venue, and everything was outstanding-especially the dessert table! 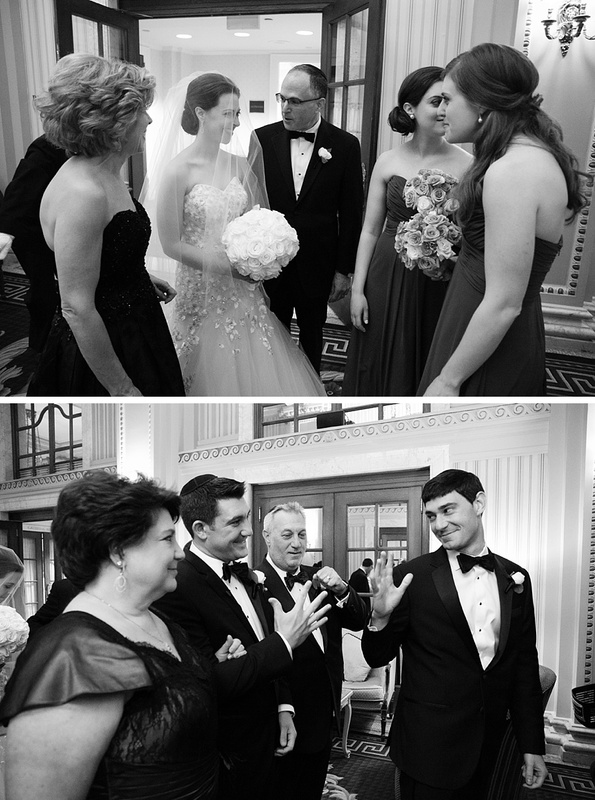 It was so special having all of our family and friends there to celebrate the start of this chapter of our lives. 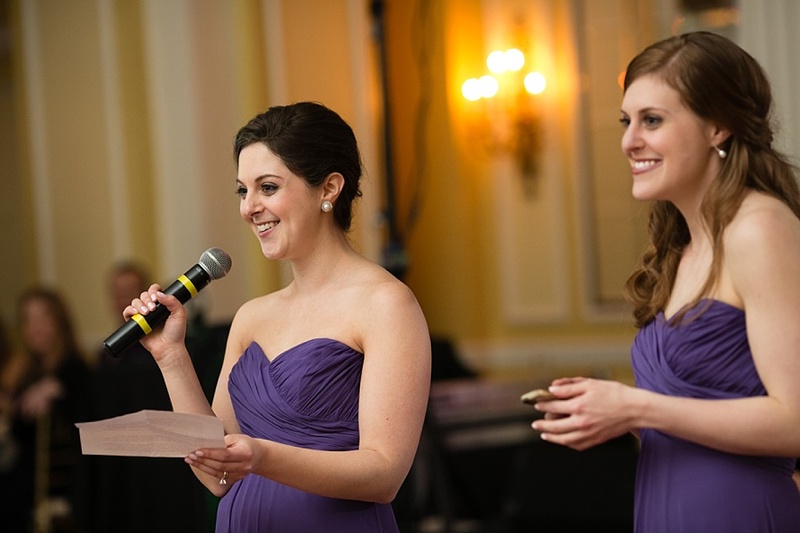 Thanks for your kind words, Elyse and Alex. 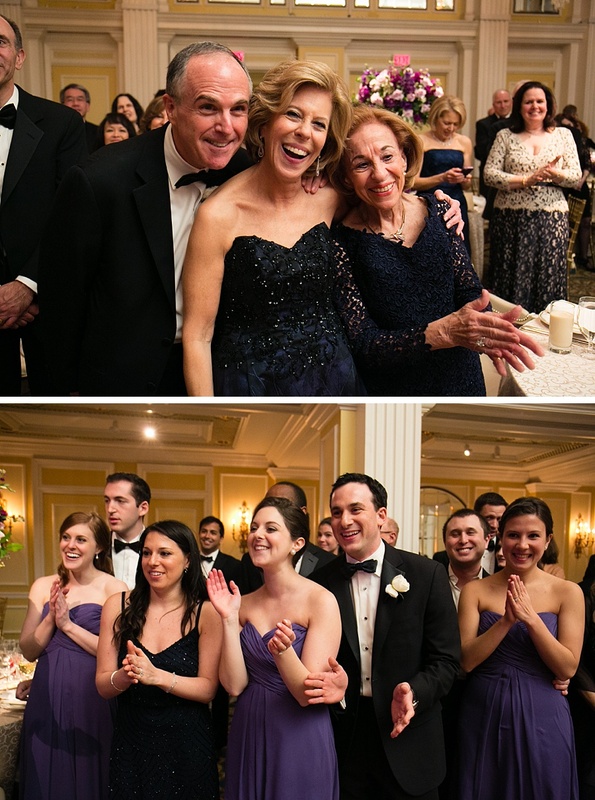 Thanks for including me in your amazing celebration!